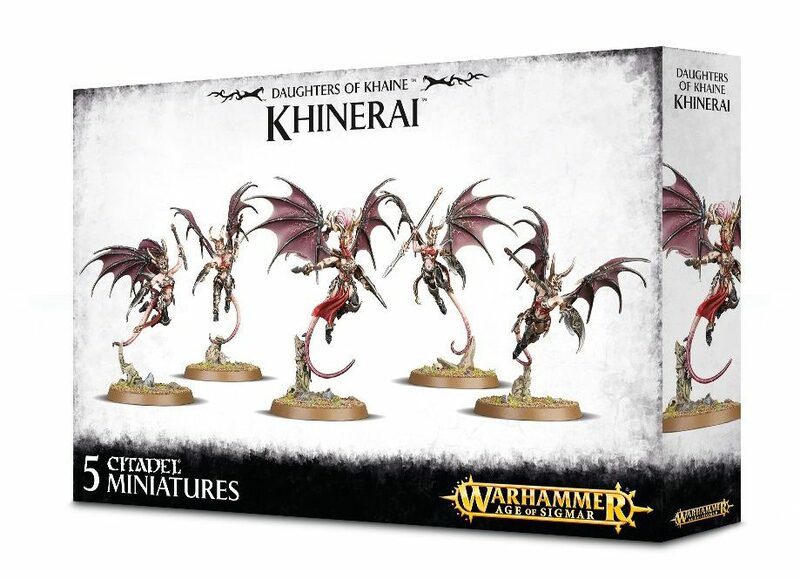 The next wave of the Daughters of Khaine arrive along with some new battlefield terrain. Blood Sisters are powerful warriors used as bodyguards to High Priestesses or Bloodwrack Medusae, or as a potent vanguard for the war covens. Each Blood Sister is equipped with a heartshard glaive – a heavy polearm ideal for driving driving through armour and ribs to cut out an opponent’s heart. Blood Sisters can also channel the blackness of their tainted souls into a strike known as the ‘scáth touch,’ solidifying victims into an unmoving crystal statue that remains horrifically aware. The ultimate in cruelty is for a Blood Sister to thrust her glaive quickly enough to tear out a foe’s beating heart even as the scáth touch turns them to crystal, trapping them forever in a state of unimaginable agony. This multi-part plastic kit contains the components necessary to assemble 5 Blood Sisters. 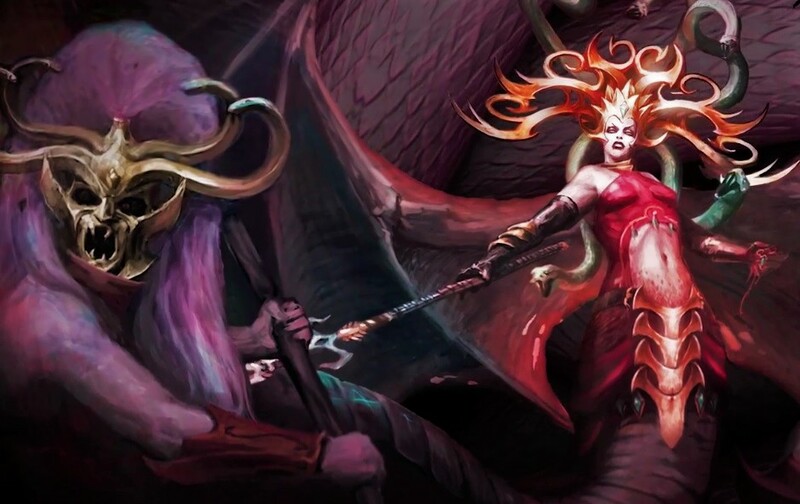 The first thing you’re likely to notice about these miniatures is their legs, or rather their lack – reshaped in the image of their creator Morathi, everything below their torso has been reshaped into that of a sinister, twisted serpent. Above the this they feature metal waist pieces with attached sashes, and armoured breastplates. The Blood Sisters feature intimidating full-face masks, each with expressions of fury and snakes framing their wild, swept-back hair. You have the option to build 1 model as a Gorgai, the unit leader: she can be distinguished by her uniquely jeweled mask, specific heartshard glaive and her grisly trophy – the heart of an unfortunate victim, clutched proudly in her left hand. 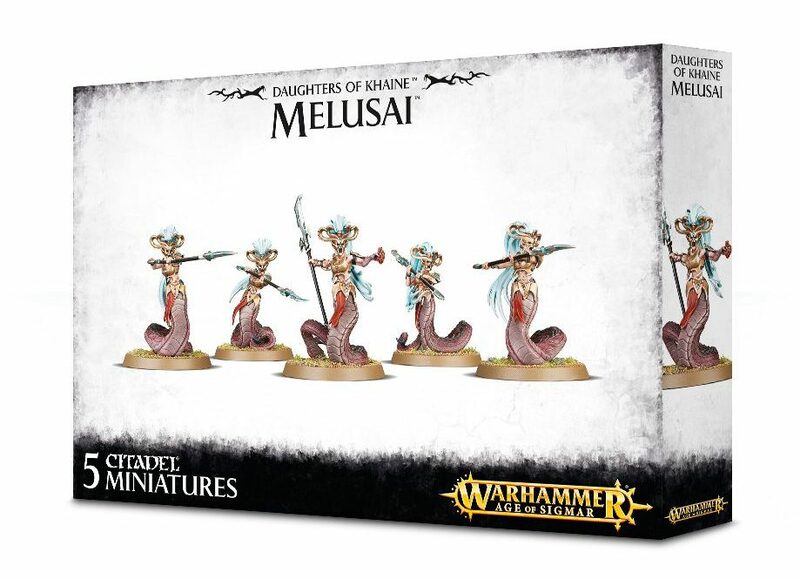 The Melusai Blood Sisters come as 100 components, and are supplied with 5 Citadel 40mm Round bases. This kit can optionally be used to assemble 5 Melusai Blood Stalkers. Tucking their wings close, the Khinerai known as Lifetakers plummet down at high speeds. At the last moment they spread their leathery pinions, snapping their descent as they swing their sickle-blades with maximum force. Foes that survive this devastating assault can strike back, but the Lifetakers are masters at turning their heartpiercer shields to not only parry blows but to puncture organs. Even as nearby enemies rally to pin the Lifetakers in combat, they rise above the melee in a flurry of beating wings, looking for the next target. For such unfortunates, the last thing they will hear is a sudden rush of wind before the Lifetakers’ deadly assault reaps its toll. This multi-part plastic kit contains the components necessary to assemble 5 Khinerai Lifetakers. 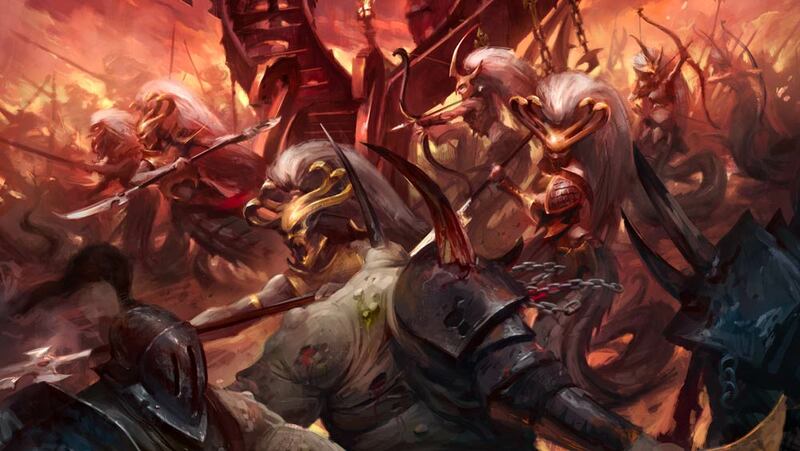 These Khinerai wear open-face helmets, making the twisted sneers of their bloodlust plainly visible as they soar through the skies on enormous, spiked wings. Their armour is minimal, designed more to be streamlined for aerial maneuvers than actual protection – thick plate would drag them down, providing a disadvantage to these high-speed killers. Each Lifetaker carries a horrific barbed sickle in one hand, with a heartpiercer shield in the other; these shields are aptly named, featuring large, sharp spikes. You can build a Harridynn, which is the unit leader – she is denoted by her unique hairpiece and loincloth. Each model is attached to its base via a sculpted ruin to which their base connects, providing the dynamic, aerial look they require. The Khinerai Lifetakers come as 61 components, and are supplied with 5 Citadel 40mm Round bases. This kit can optionally be used to assemble 5 Khinerai Heartrenders. Rules for using these scenery pieces in games of Warhammer Age of Sigmar are available as a PDF download. 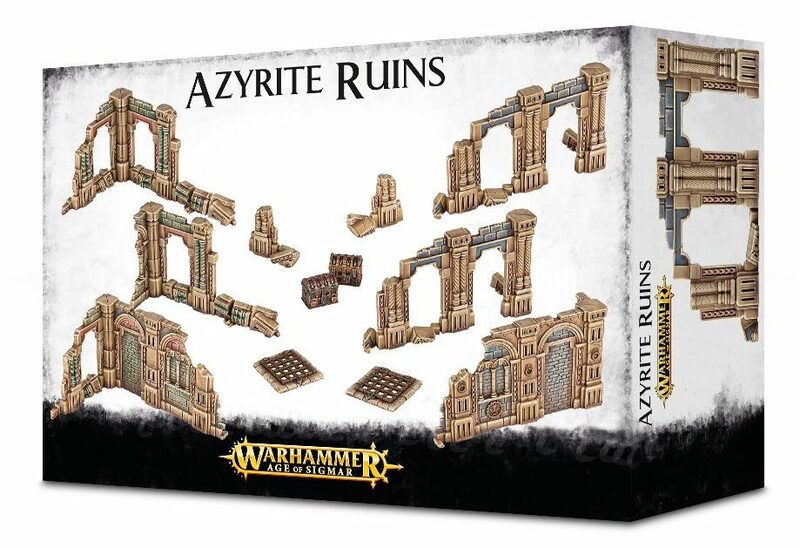 – A Warscroll for the Azyrite Ruins, featuring their own rules. 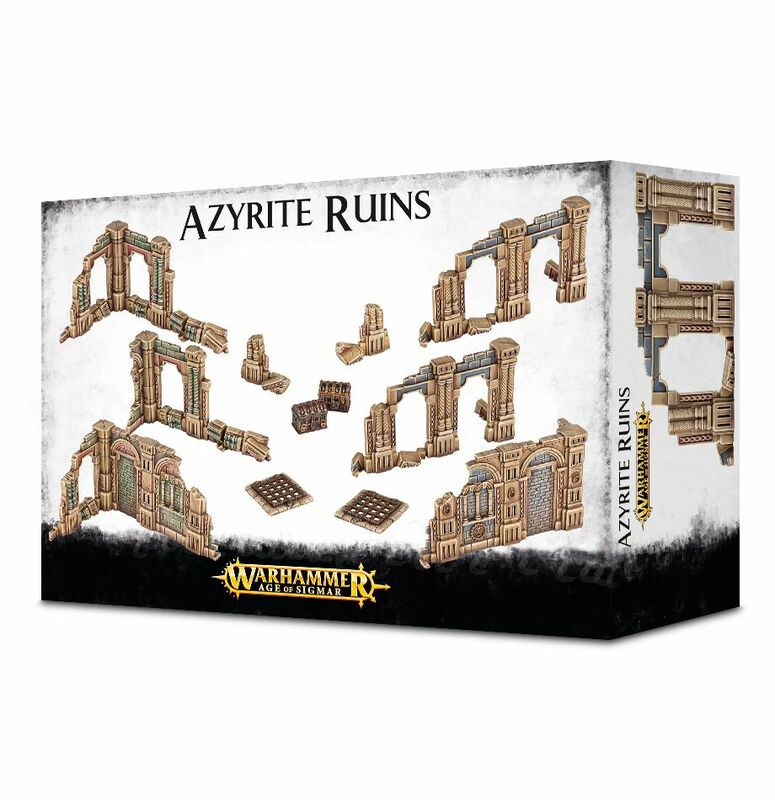 Even the box this set comes in is useful: it’s made of strong card, making it perfect for storing your disassembled scenery set between games. 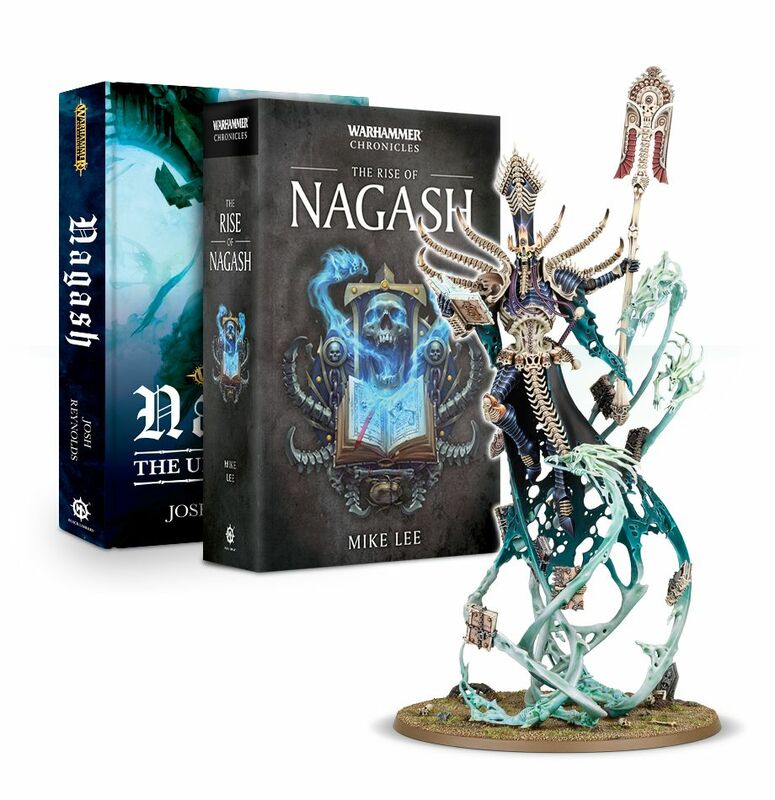 Nagash: The Undying King (Hardback) by Josh Reynolds. In the Realm of Death, the Rictus clans face their most relentless enemy ever, and even the intervention of two of the Great Necromancer’s Mortarchs might not be enough to turn back the lumbering minions of the Plague God. Where is Nagash, the Undying King, when the people of Shyish need him most? A Warhammer Chronicles omnibus telling the origin story of Nagash in The World That Was. 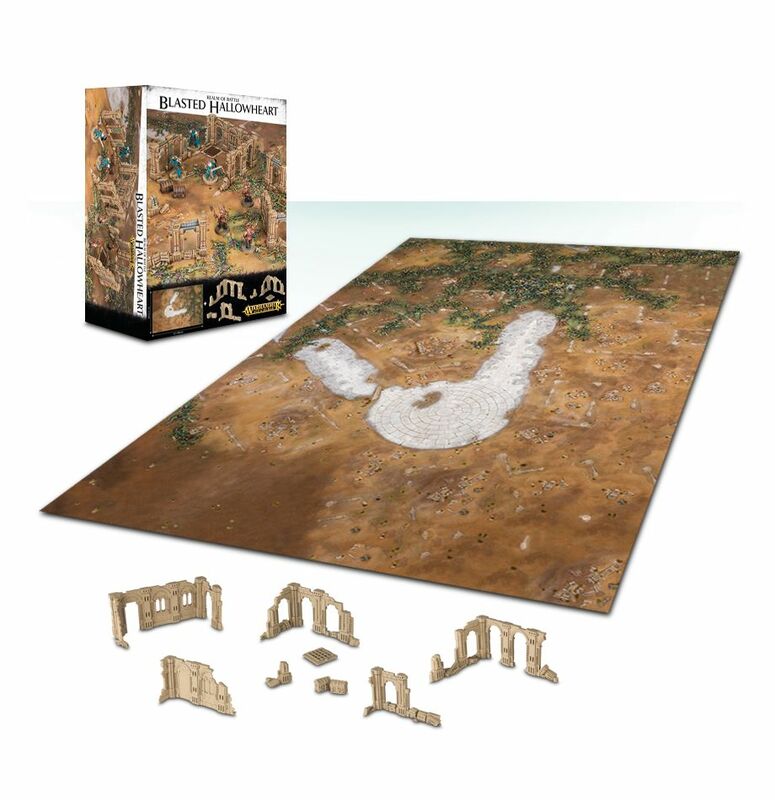 This multi-part plastic kit is equipped with an array of Nagash’s most precious artifacts. Upon his brow sits the Crown of Sorcery, while his hand grips either Alakanash, the Staff of Power or Zefet-nebtar, the Mortis Blade. He is clad in Morikhane, the Black Armour, and orbiting around his sorcerous frame are nine ancient books, each one containing the terrible secrets of animating the dead. Nagash can be assembled either reading from one of the ancient tomes – the Liber Mortis – and holding the Staff of Power aloft with the Mortis Blade secured to his waist. Alternatively you can replace the Staff with the Mortis Blade and add to the ethereal energy that surrounds Nagash by equipping a spirit-entwined arm. Includes a Citadel 130mm Round base.